We had a fantastic time at the Kitsap Community and Agricultural Alliance’s Kitsap Harvest Dinner last Saturday at Olympic College, filling our bellies with fresh, locally sourced food and hanging with Elise and Sam of The Brothers Greenhouses. It was our very first time attending the dinner, and now that we know just how delicious the food is on offer, we’ll definitely be back! A variety of dishes were available for sampling – guessing, I would say over 30 – served buffet style, cooked up by local chefs. 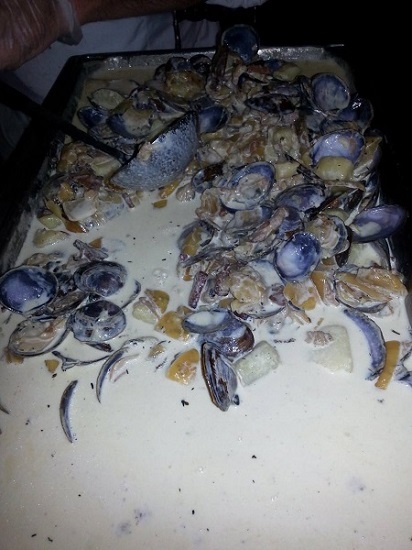 The most incredible thing I tasted that night was the clam chowder created by Jeff McClelland of Harbour Public House. My mouth is watering as I type this. It was the best clam chowder I’ve ever had and puts Ivar’s to shame. As a side note, I am so grateful that Colby and I made the choice to no longer be vegetarians. Because what is clam chowder without bacon? I also really loved the rabbit. I have to admit, eating rabbit that night was slightly challenging for me as I once had a bunny for a pet when I was a little girl. But it was so juicy and so tender that my guilt was squashed by my delighted taste buds. I wish I could give credit where credit is due, so if anyone reading this knows which chef was responsible for the rabbit, please log in to Facebook and leave a comment below! 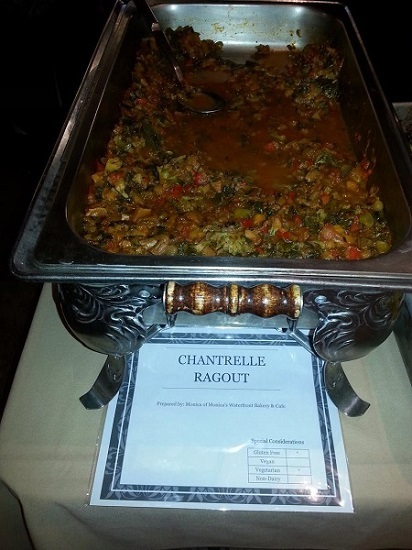 Also very excellent was Monica Downen’s chantrelle mushroom ragout. I love discovering new foods and new flavors, and while I’ve tasted chantrelles before, this dish was a party in my mouth. Was it the chantrelles or how they were prepared that was the cause of all that excitement? Or perhaps it was the mix of all the other vegetables in the dish that created such culinary dynamism? Who knows. It was so good that I went back for seconds. Of course, no meal is complete without dessert. As full as I was, I helped myself to two servings of Viking Feast Ice Cream. 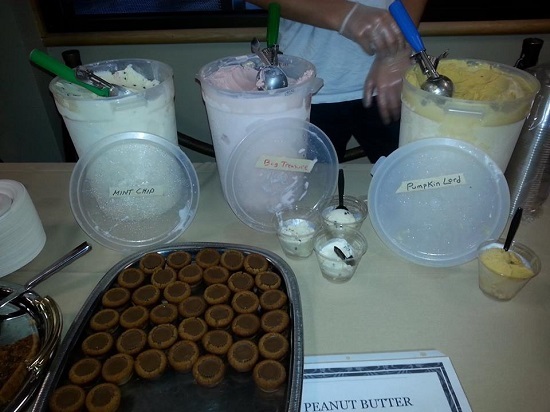 My first serving contained all three flavors in one cup; my second serving contained only the best: pumpkin lord. I’m not sure what exactly pumpkin lord is, but I trust that the label in the picture below is correct. While I was enjoying my ice cream, simultaneously, I was in a bidding war with number 65 for the Silent Auction prize of ‘Lunch with Mayor Patty Lent.’ It was a very close call. If I hadn’t gotten up one final time to ensure that I was indeed the highest bidder, I would have lost. I am so happy that I my competitive nature was with me that night, because sometime soon, I will be lunching with Mayor Patty Lent! Though it was a short event, it was a fun and memorable evening. We look forward to next year’s Kitsap Harvest Dinner feast.